It has been such a fun couple of weeks getting to know all the participants of the 2016 New Quilt Bloggers Blog Hop! 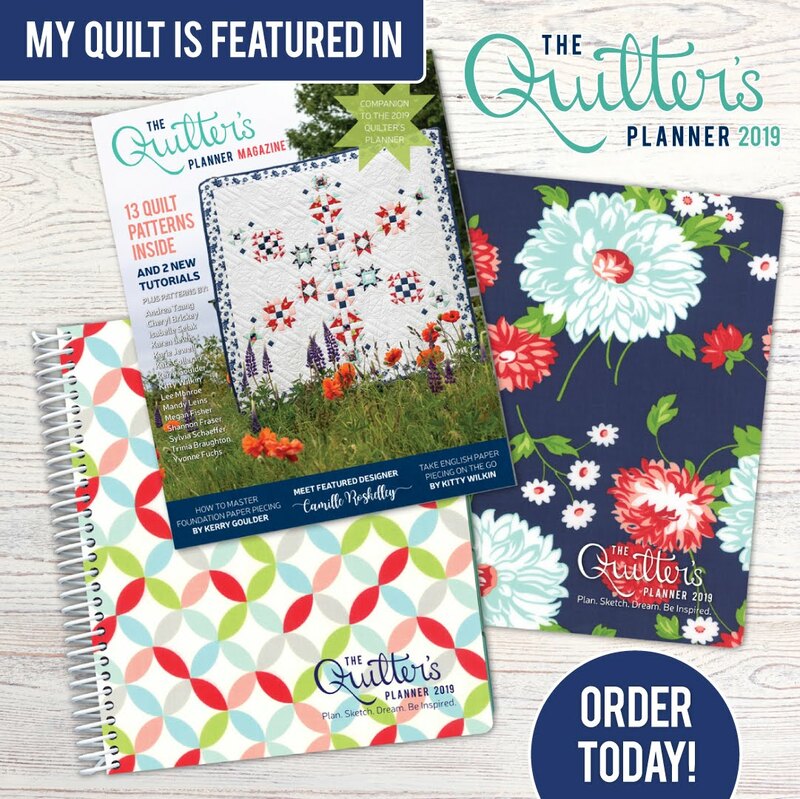 The introduction posts have been in full swing and it is such an amazing opportunity to get to connect with fellow quilters that also blog. So, hi! 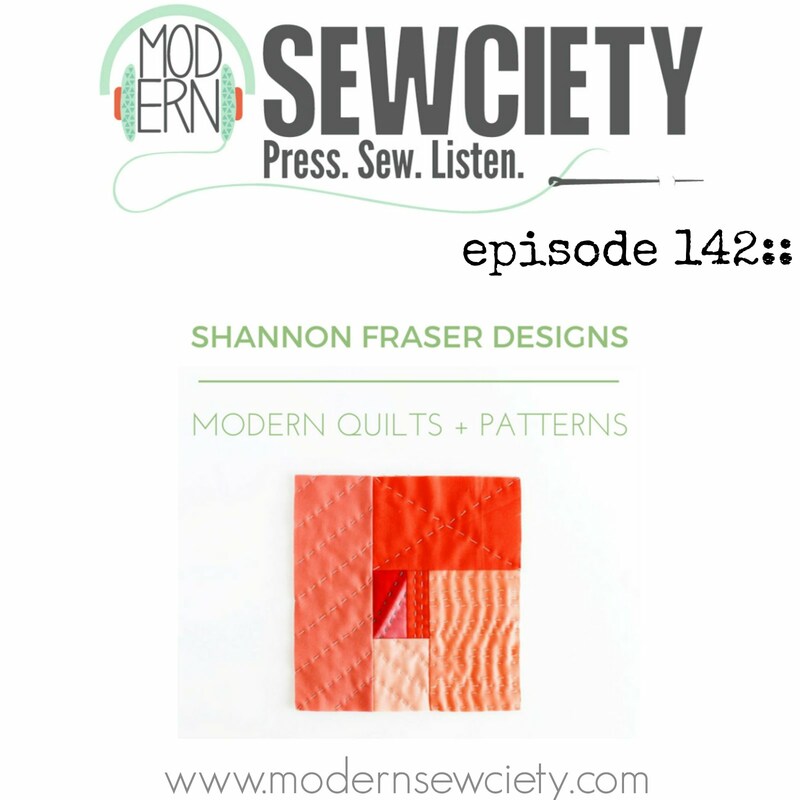 And welcome J I’m Shannon, the designer, quilter and blogger behind Shannon Fraser Designs. I was a sewer before I was a quilter and it was my love for fabric that led me to teach myself how to sew. 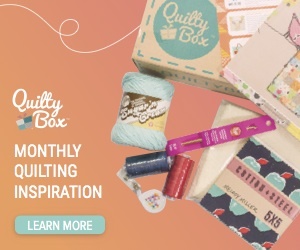 But my quilting journey, that really starts with YouTube! Well, YouTube and half square triangles (HST)!! 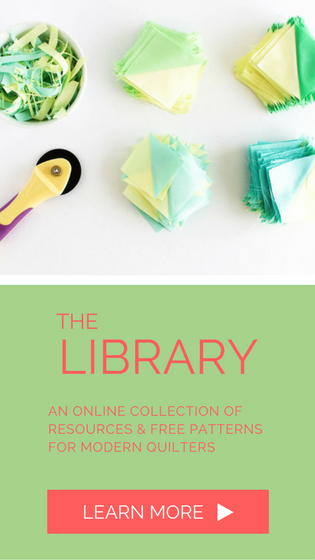 I stumbled upon a HST quilt tutorial and I was instantly hooked! 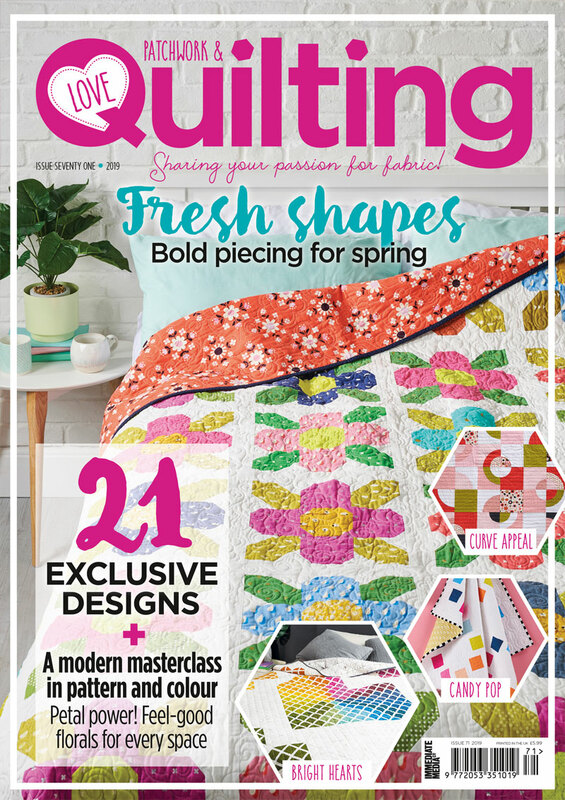 It was a total a-ha moment and I spent hours checking out videos, deciphering the lingo and generally getting more and more excited to give quilting a go. I was so intrigued and fired up, I quickly got started on my first HST block. One block led to another and, before I knew it, I was setting out to make my first quilt top. 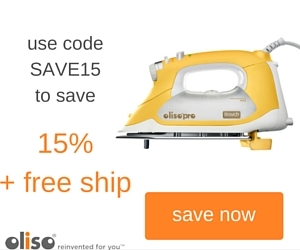 I'm most excited about the endless creative options quilting offers. I’m finding inspiration everywhere - fashion, interior design and art. Especially tiles. They get me every time! Nature is also a huge source for colour inspiration. A great example of that is a passion project I’ve been working on for over a year now. It’s a custom Dresden plate quilt featuring blues with water names. Even the variegated thread is called Storm at Sea. Blogging Tip: Keep a running list of blog ideas and inspiration. I keep track of mine in an Excel spreadsheet and have found this to be so helpful when planning my blog content calendars. Quilting Tip: The biggest tip I've learned so far is to really enjoy the process. Don't fear the unknown and take it one step at a time!! Quilting Question: I've been trying, without success, to find the right quilt label solution. What is your go-to? 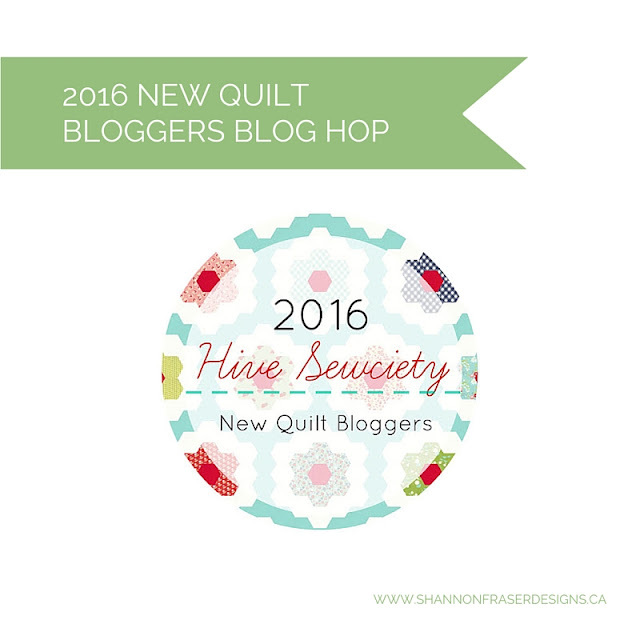 A special thank you to Yvonne, Cheryl and Stephanie for hosting the New Quilt Bloggers Blog Hop. I’m having such a great time being a part of this collaborative and diverse group. Olusuyi – Alice Samuel’s Quilt Co. It's great to see another Canadian in the blogging world. You have some beautiful blue quilts here and your photography is wonderful. As for labels, I have to confess that I usually don't do them. Well hello fellow Canadian!! 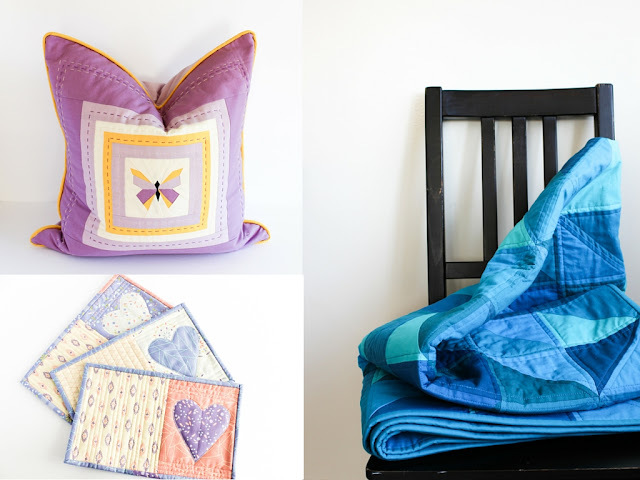 I have been on a blue quilt kick, but hoping to venture into new colour territories soon!! So happy you enjoyed my photos; it's an area I keep trying to improve. Hi Shannon, Wonderful to get you know you. HST are wonderful and I am just starting to see how great they are....So many things can be made from a few of them! Oh I love the sound of "tah-da", Heide!! I've been considering having some labels made and this may just be the incentive I needed!! A Dresden plate tutorial is on my blog list - hopefully I can share some tips to make them easier for you!! Have a great week as well! Hi Shannon...I enjoyed reading your post. I am still struggling with keeping a list of blog ideas and inspiration. I think I've aged overnight from basting the big projects I took on this year...I'm supposed to write a post on basting and Quilting as part of my Quilting process series but I just can't get started...that's how I feel about basting :( Thanks for the tips and as for labels I don't have anything fancy just a woven label that has my name and contact. Thank you, Anna! Happy to meet a fellow YouTube lover!! 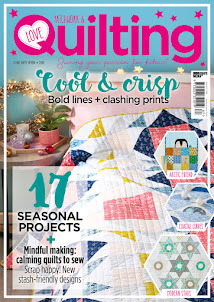 What's your favourite quilting channel? 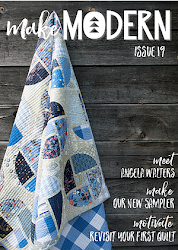 I can't seem to get enough of the Missouri Quilt Co. and more recently Suzy Quilts. 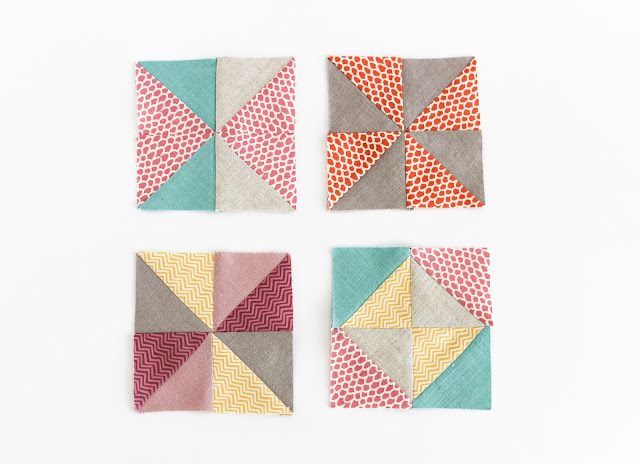 I love hearing about how each person got started quilting; thank you for sharing yoru story today! I really also feel like quilt labeling is something I need to think about and refine for myself. Right now I am using the Crafted Applique method to stitch down a label after the quilt is finished. Oh, I've heard of that book, Yvonne - I'll be sure to check it out! Thanks for sharing your quilting journey. I print quilt labels on photo transfer fabric. That way I can include pretty much whatever I want. I like Printed Treasures or Electric Quilt brand fabric sheets. Hi Shannon - I really enjoyed your post. I just love the dresden plate quilt. I bought a template for dresdens last month and I think you might have nudged me into action on making one. I totally agree with you on the basting. Big yuck. For labels, I've always hand embroidered my labels, but mostly because I was giving them away. I'm looking for a pre-made tag solution that I can quickly add to quilts and other things I might sell, or that might not have any particular special meaning (like a wedding or baby quilt). Let me know what you discover! 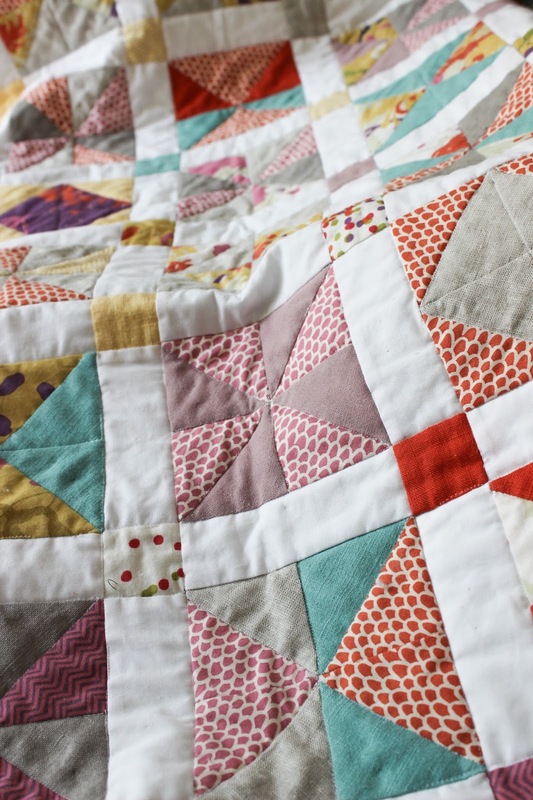 I love your Dresden plate quilt! It's gorgeous. I write my labels directly on the back of the quilt if possible with a Pigma pen. Once written I heat set it. If the back is dark or really busy I will make a label and hand stitch it on. However, those can be removed, so my preference is to write directly on the quilt. Aw, thank you, Suzy! It's been a great learning experience ;) I'd never thought of the removal of the label, great point! Wow, Shannon! You do beautiful work! 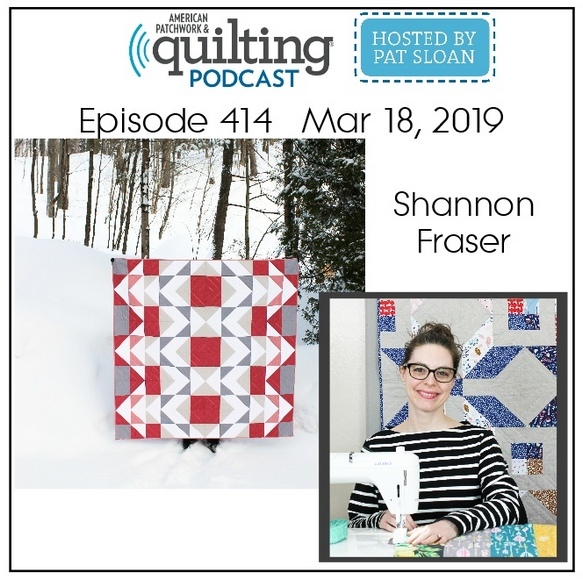 Thanks for sharing a little bit about your quilting journey with us. Your blog is looking great Shannon, and you excel at photography, the pics are lovely. I have to agree with the others, your Dresden Plate quilt is beautiful. I must admit I rarely add labels. Once the quilt is finished and I'm on to the binding I just want it finished normally. However, my recent Bluebell Woods quilt is going to be labeled because I just love it so much. At the minute it is still waiting for one corner of the binding to be stitched down, which I can't so until I have made a label. The last one I made with my machine which does alphabets. Thank you, Kate!! Photography is definitely an area I keep trying to improve on :) And I totally agree I find myself less enthusiastic when it comes to the label, but it was something my quilting buddies insisted needed to be added. How handy to have a machine to embroider letters, my Juki only does straight stitches, so I'm limited on that front! Can't wait to see what you use for your Bluebell Woods quilt!! Such a lovely blog. It's been fun getting to know you through the blog hop. I'm am so on your page about basting! It's probably the only part I don't really like, but somehow once I get started it's not so bad. For labels, I usually print mine using photo fabric but I have to admit I'm far behind on my labels. I too have been looking at making printed labels online and will probably do that soon. Seems like photo fabric is a popular solution, Jennifer! I will definitely check it out. And I totally agree that once you get going with the basting it's not so bad, but I'm always super thrilled once it's done ;) Let me know how the printed label search goes! Hi Shannon. :) I know what you mean about Half Square Triangles. I love them too. So much potential! I have always done a little hand embroidered label on my quilts with "Made with Love", my name, the date and a little design like a heart or flower. I think it adds that personal touch to the most important quilts. I am still on the search for a simpler method for not so personal quilts. Oh, I love your label technique, Jen! It definitely adds that personal touch and really completes the quilt. I currently write mine, but I recently started embroidering, so it would be great practice! Thank you for the tip, Sue! I use the folded square technique when I have to hang a small quilt, but haven't added written details. I will have to give that a go!! 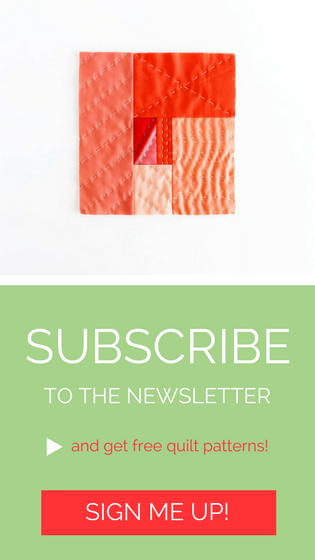 Love the style of your blog. So modern and clean looking. Love your blue Dresden plate quilt. Love the whole idea of it actually. You are so sweet, Velda! 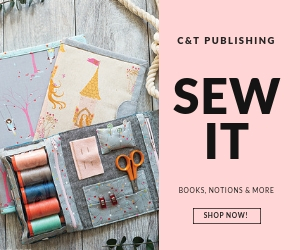 I was going for a very clean aesthetic in my site design, so I'm happy that's coming across :) And I'm so happy to hear your like the Dresden plate quilt! It's been a long journey, but I keep telling myself all the time and effort I'm putting in will be appreciated for years to come. Hi Shannon, I love your Dresden plate. I attempted one many, years ago and never finished it. So far, that is the only time I did not finish a project. I haven't started with HSTs but plan to after reading your post. I like your blog design, too. Nice to meet you Shannon, lovely blog! I too have not found an ideal solution to quilt labels...but I did check in on Spoonflower.com and did you know you can make quilt labels there? I plan to try it sometime this week and will blog about it if I do. Yes! I've been thinking about Spoonflower, Sharon! I'm so happy you mentioned them. I'll have to check them out too :) Let me know how your search goes! First of all, I absolute love your dresden plate with he gorgeous hand quilting! For quilt labels, I like to piece up something fun from the quilt top and then print my info with Micron pens. I find that if I put freezer paper on the back, it stabilizes the fabric so that my printing looks neater, and then it peels off before I appliqué it to the back. For other, smaller quilted projects that I sell, I have labels printed at Spoonflower, although I have been thinking about ordering some printed on twill tape. Maybe labels would be a good blog post? Thank you, Marla! I'm so happy you like my Dresden plate quilt :) The stitches are taking forever, but I really love where it's headed. I just have to keep telling myself it will all be worth it once I'm done!! We have similar labeling approaches, although I still have to try Spoonflower. I really like the custom labels, but wanted to find an alternative for items I sell. Once I figure our my quilt label solution, I'll be sure to share a post!! Hi Shannon, great intro post. 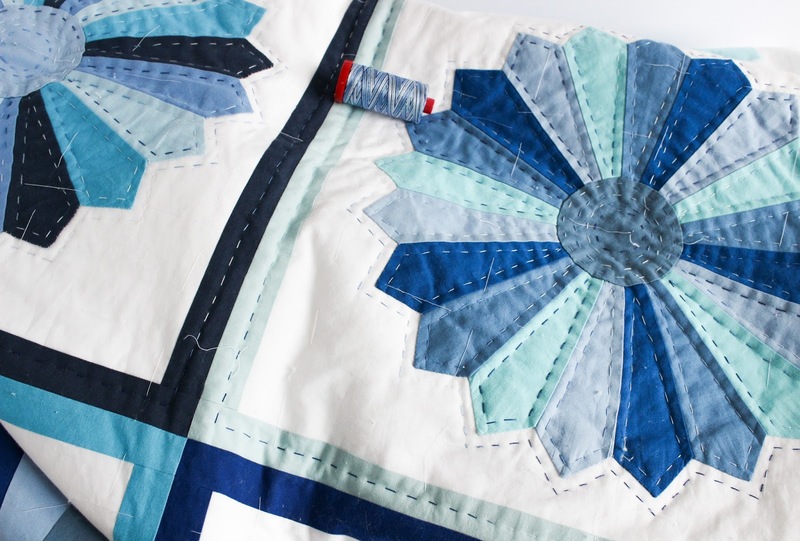 I love the quilts you've shared today, especially the blue HST one. And the butterfly pillow. I'm no help with labels, as I usually forget about them. I've embroidered some, and they look great...except when they don't...I'm not a pro at that...but I like the textures. 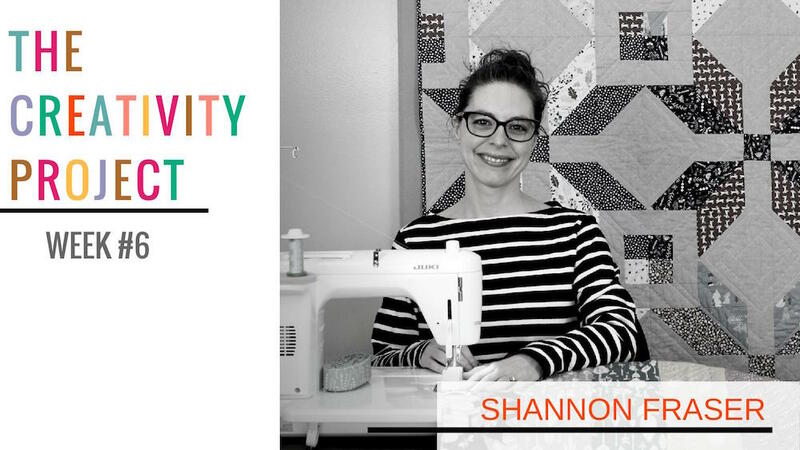 Shannon, great work! Your blog is very clean and professional looking! And I enjoyed reading about your quilting journey. Love the unique idea of having water names! Clever! The blue Dresden is going to be beautiful. Hi Shannon, so nice to meet you! Love the looks of your blog, so clean and neat! Your hand quilting is beautiful! I really do need to try it. I don't have a great label solution, please post when you find it! Thank you, Paige! You should absolutely give hand quilting a try, I was really surprised by how much I enjoy hand work :) And I'll be sure to share my label solutions, once I settle on one!! I really do need to give board basting a go, Izzy! I just keep forgetting to pick-up some boards. And I'm down for having a label chat with the MMQG, I honestly thought I was the only one struggling with labels! Wonderful post Shannon! I am also on the hunt for the perfect quilt labeling system. I put a label on one of my son's quilts and am fairly happy with it. I wrote up my little blurb on the computer and printed it out on paper, then traced the text onto white cotton with a pigma pen. Next, I ironed a small chunk of lightweight interfacing on the back and turned the edge under 1/2 inch all around. I used a big running stitch around to edge for a bit of decoration and then hand-stitched the label on the back of the quilt. Cheers! Hi, Shannon! Labeling the quilt is my least favorite part since I never know what to use. I want to order some of those labels that Sew Fresh Quilts use fro ikaprint but haven't done so yet but that doesn't let me put the date on. I did buy a permanent pen for quilts to write on so that should make it easier. I've also embroidered by name and year on the front of a quilt and that worked for me. It was nice to get to know you a bit Shannon. I love the colors you use, they are so bright and happy. I struggle with labels as well. So I'm looking forward to going through the comments now and finding out what your followers have to say. Thank you, Jen! There are lots of quilt label tips provided in the comments, so hopefully you found a trick that suits you :) Otherwise, I will be posting once I finalize my quilt labels! I have been using Salopek consulting now for a few months and he has been absolutely wonderful. He has helped me with the ottawa hr consultant of two new employees and has made everything extremely easy. He is also always there for you when you need to get hold of him. Great job Salopek & Associates….